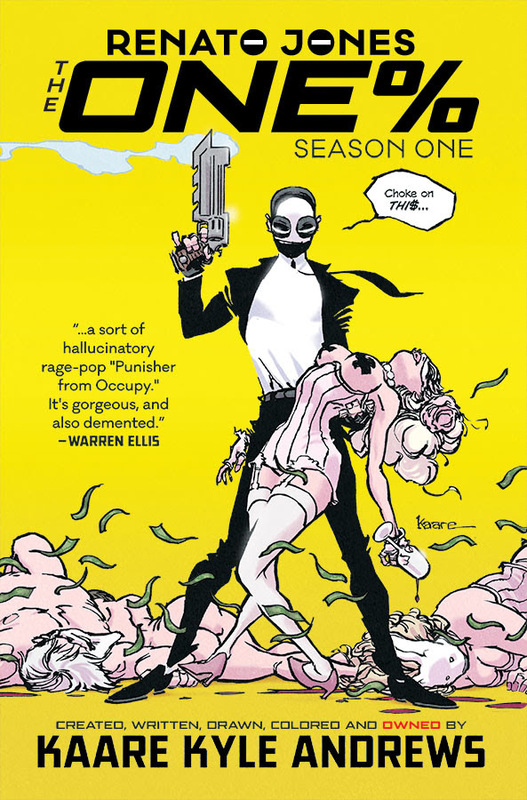 Critically-acclaimed writer/artist/director Kaare Kyle Andrews (Spider-Man: Reign, Iron Fist: The Living Weapon) will release the first trade paperback collection of his supercharged action-thriller RENATO JONES: THE ONE% this January from Image Comics. Now more relevant than ever before, and just in time for the inauguration ceremony, RENATO JONES targets the super-rich. One percent of the population now owns more than half the world’s wealth...and Renato is going to make them pay. They’ve crashed economies, bought governments, and amassed more power than any other group in history. And they still don’t have enough. With this kind of power, how can anyone make them pay? WHO will make them pay? Enter Renato Jones, a mysterious vigilante, out to even the score. And when he enters the fray, THE SUPER-RICH ARE SUPER F***ED. 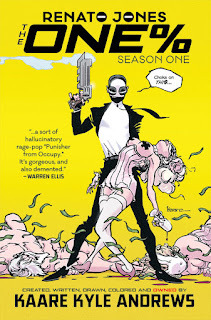 RENATO JONES: THE ONE%, SEASON 1 TP (ISBN: 978-1-63215-900-7) hits comic book stores Wednesday, January 11th and bookstores Tuesday, January 17th, and will be available for $9.99. It is available for preorder on Amazon, Barnes & Noble, Indiebound, and Indigo.